Tours of colonial Cartagena and Bogota. Day 1: Arrive Bogota, Colombia On arrival to the exciting Colombian capital of Bogota, we will pick you up from the airport in a safe, private car and take you to your city center hotel. After breakfast (included) we take you on a half day tour of the fascinating La Candelaria district of the city. The area has magnificent examples of colonial architecture including the Cathedral. Walk among the typical houses dating back to the 17 Century with wrought iron balconies and hidden gardens. Your visit continues to the Botero Museum, dedicated to the works and collections of Federico Botero. It includes art by Picasso, Dali, Renoir, Matisse and Monet. Your final stop is the incredible Gold Museum. Newly remodelled in 2007, this museum has the greatest collection of gold artefacts in South America and one of the most important collections of pre colombian antiquities in the world. Today we pick you up from your hotel and take you to the airport for your flight to he Caribbean island of San Andres Island, 470 miles off the Colombia mainland and then your 15 minute flight to Providencia Island. 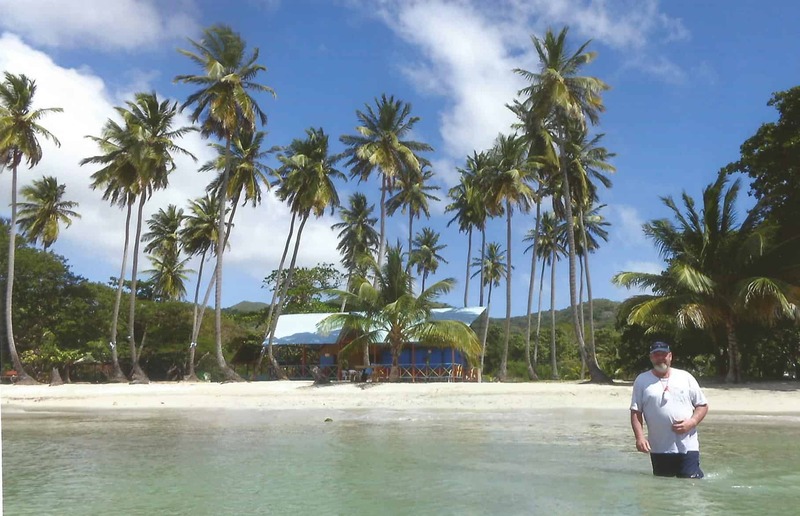 At only 10 square miles and a population of 5000, Providencia is the archetypal paradise island. Surrounded by rich coral and clear blue waters, the island is ideal for snorkeling, diving, or just relaxing on the beach. Declared a world Heritage Site by UNESCO, Providencia has the third largest barrier reef in the world. For divers are blue holes and plenty of sunken ships. You have a free day to explore Providencia as you wish. It is easy to visit the many secluded bays, or visit Santa Catalina Island – connected to Providencia by a colorful wooden bridge. Providencia is covered in tropical forest full of birds so another option is a short hike up through cool forest to The Peak for 360 views of the island. Today you will travel the short distance to San Andres Island. This island has had a colorful past – and the influence of its many settlers is shown in the buildings, cooking and language of its people. Locals have a Caribbean style and speak a creole mixture of English Spanish and African dialects. San Andres has a unique raizal cuisine and relaxed Caribbean feel. The main draw here though are the turquoise waters and white sandy beaches. 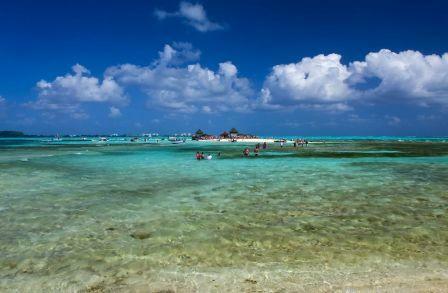 Enjoy your free day on the island paradise of San Andres. We suggest a trip to Johnny Cay. Just a 10 minute boat ride away, the formation of the beach at ´Playa de Cedro´here creates a natural protective barrier making it a stunning location for exploring the rock pools, observiing sea birds and swimming with tropical fish. 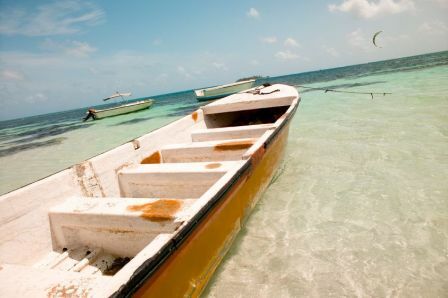 Today we take you to the airport in San Andres for your direct flight to Cartagena on the Colombian coast. In Cartagena we will pick you up and take you to your centrally located hotel. The rest of the day is free for you to relax. Cartagena has been an important port for centuries. The city is a blend of the modern and historic, and a reflection of the many nationalities who have been settling here since the 16th Century. Today we will take you on a tour of historic Catagena. The old town here was an important port and focus of Spanish and pirates alike for centuries. On your tour you wil visit the Gold Museum and the Museum of the Inquisition as well as he beautiful Cathedral. The rest of the day is free for you to explore the pretty cobbled streets of Cartagena Old Town with its flower-filled balconies and outdoor cafes. Overnight in Cartagena. 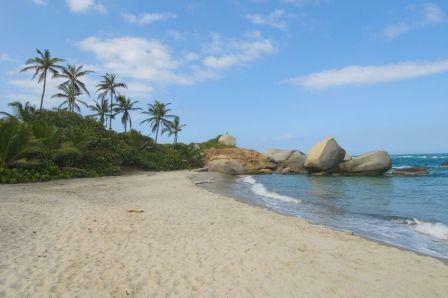 Today we will take you along the coast to Tayrona National Park. Located on a peninsular, this park is a perfect combinations of clear water, palm fringed beaches and tropical forest full of wildlife. The beach has something for everyone from nature hikes, surfing and snorkeling, to simply peaceful beaches for relaxing and enjoying youir surroundings. Today you have a free day to explore Tayrona National Park.